Modernity, Modernism – For many historians, the period known as modernity begins in the mid-seventeenth century, with the Enlightenment. The style of art known as Modernism (notice the “-ism”), sometimes specified as High Modernism, comes at the end of the nineteenth century, with Pound in poetry, Joyce and Woolf (and the earlier Kleist) in prose, and Manet, Matisse, and Picasso in painting. But Modernism is not a hifalutin “school of art.” It’s a shift in thought. The “crisis of the Modern” hits home after transdiscursive (discourse-inventing, meaning way-of-making-knowledge-inventing) thinkers such as Freud, Marx, Darwin [PICTURED], Nietzsche, Eliot, and Bergson, collectively question our basis for making knowledge (from the past) and of representing Being (which cannot be represented). They are skeptics. They cause a collective shift in thought—a shift from which we have never recovered. By the outbreak of the Great War, Modernist thought suddenly finds knowledge not in tradition and the traditional “authorities” (Plato, the bible, science as understood by Bacon and Newton, biology a la Curvier), but in human experience—the succession of moments—the imprint of moments lived, sensations felt, memories created and buried deep and suddenly remembered. But this focus on the individual and her thoughts shares little in common with the willful Romanticism of the nineteenth century: In just decades, the idea of the unconscious comes to play a huge role in art, as does the Marxist idea that the course of your life is largely determined by class. 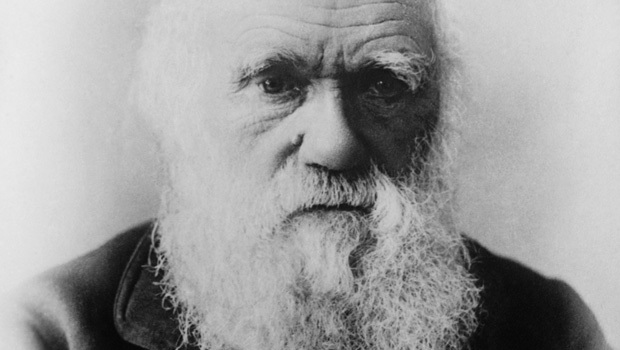 Darwin’s observations concerning biology’s fatalism (natural selection, genetic determinism) completes the trifecta. The Romantic notion of the totally free human is gone, replaced by a mixture of the individual (which is fragmentary, reaching to define self, to ground self in knowledge that she must construct) and the massively social (because the Utopias conceived in the nineteenth century are finally being acted out). Further, lived moments do not exist purely as affects in the heroic human brain (as per the intense emotions of the Romantics), but as medialized, technologically-distributed information. Signs. With Modernism and a shift away from the Enlightenment’s insistence on a rational, discoverable world (with Bohrs and Einstein, and with Joyce, and with Picasso and the Dadaists), we see the prefiguration of the current age, Postmodernism, and the current condition of thought: a vast chain of signs—shared, created, effaced, mutated, and judged via media (social networking, calls on phones, TV, emails, texts, books, ads)—stored and changed via the still-mysterious alchemy of the (biologic) brain. Knowledge is part of the experience of being human, and humans are not computers. We are highly sensitive animals who write poetry and scamper and go crazy. Knowledge is not separate from poetry and scampering. Though we know quite a lot within a certain framework (science—the Enlightenment), there is much, mainly our own consciousnesses, that we cannot “know” or that we have yet, at least as a global culture, to find a framework for. And there’s more. The fact that I can formulate the above sentence means we are living in postmodernity. “Post-” here implies less “after” than “aware of.” I could say we live in paramodernity (”beside modernity”), since we can examine it at our leisure, using its tools (technology, psychology, modern biology, economics and history after Marx). But that’s another entry. The point of this one is: Modernist thought finds knowledge not in tradition and the traditional “authorities,” but in human experience—the succession of moments lived—sensations felt, of memories created and buried deep and suddenly remembered.